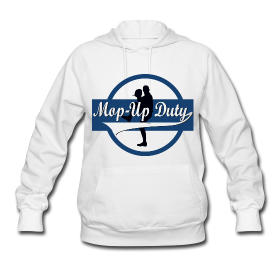 There’s a reason we’re named Mop-Up Duty. Here are three under the radar positional minor league free agents that could bolster the Jays organizational depth. Rhymes spent the entire 2013 season in AAA Syrcasue. His defense has always been there; but this time around, whether due to age/experience/dimished competition, he drasticaically improved his K rate. In 133 games, he walked 69 times vs only 29 strikeouts. He ended the year with a decent .360 OBP. Now I’m not saying that Rhymes is starting material. But with his experience, position flexibility, strong defensive pedigree and his ability to work a count, I wouldn’t be opposed to having Will invited to spring training. With Davis likely costing more $$$ than the Jays want to pay, and the need for Gose to gain more off-clock experience down in AAA, I think Berry would be a great candidate for the Blue Jays. 29 for 29 in SB attempts in his career, he can play all three OF positions and provide speed off of the bench. Carlin isn’t going to set the world on fire with his bat, although he knows how to take a walk (74 BB vs 79 SO in roughly 500 PA at AAA level in past two seasons). He has a good defensive reputation (2006 Padres MILB best defensive catcher, +3.8 defensive runs in a limited 56 game sample at MLB level) and would be a great spring training invite, with potential to fill in for an injury at the MLB level during the season. Worst-case scenario, he could give the Jays a veteran presence behind the dish in AAA Buffalo. Next articleJeff Samardzija for Stroman or Sanchez? Come on.